I try to incorporate different types of millet in our diet quite often. The one which we get here a lot and I use regularly is pearl millet (bajra in Hindi, kambu in Tamil) and finger millet (Nachini or Ragi in both Hindi and Tamil). These millet and all millet in general are good sources of protein and fiber and other nutrients like essential minerals, iron and calcium, etc. It’s gluten-free too, so a boon for those who are sensitive/allergic to gluten. So make it a point make these super foods a staple in your diet. 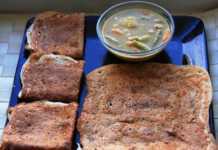 This bajra dosa is a very easy recipe to make. You can substitute one millet for the other. I have tried it with ragi too. 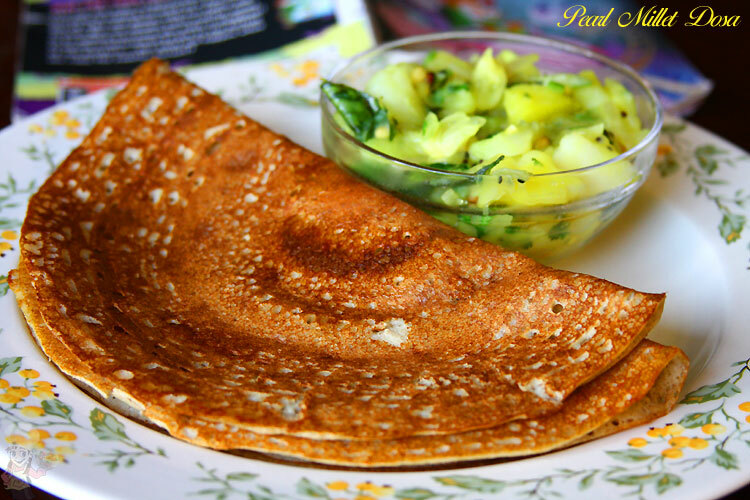 Again this batter like the pumpkin dosa batter yields both crispy and sponge like dosas. The same with the brown rice dosa recipe too..
1 Hr + 6 to 7 Hrs Fermenting 05 Mins 15 Dosas Approx. Soak the urad dal in water (about 3 cups) for about half an hour. Grind the dal in a grinder preferably. You can add the fenugreek powder if using. You can grind it in a mixer too but the urad dal will not yield as much batter if done in a wet grinder. If you choose to use whole fenugreek seeds, soak it well before at least for an hour or two in hot water so that grinding is easy. Add it along with the urad dal. Once the dal is ground into a smooth batter, add the flour little by little while the grinder is on. Add little water to keep the grinder running. If grinding the dal in a mixer, you can transfer the batter to a big bowl and then add the flour and mix well with a ladle. Add salt too. Either way mix well. Close the bowl with a lid and leave it on the counter overnight or 5-6 hours to ferment. 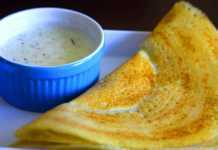 Store the batter in the fridge until you are ready to make the dosais, otherwise it will become too sour. 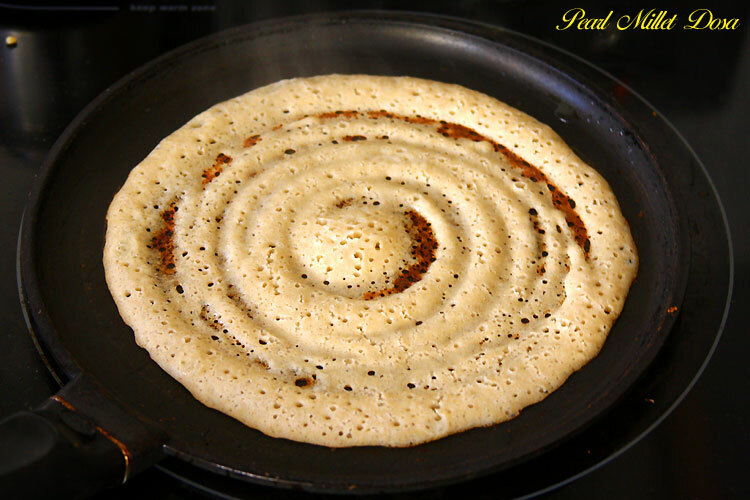 Prepare dosas as usual. Add water to the batter if necessary to get the right consistency. 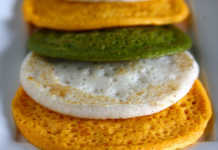 This batter yields both thin and crispy or thick and sponge like dosais. Next RecipeThe Easiest Sugar Cookies Recipe Ever!